The Minister of Commerce and Consumer Affairs Jacqui Dean is talking up the benefits of a “light touch” approach towards regulating the financial technology, or fintec, sector. “We have a preference for industry-lead solutions, rather than to regulate first. “There are a number of live issues out there where it would be beneficial to see how the industry is going to respond, rather than government considering regulation,” Dean told those at a Trans-Tasman Business Circle panel discussion on fintec last week. Her comments come as the Financial Markets Authority (FMA) reviews submissions on its proposal to permit firms to provide personalised robo-advice at least a year before a pending law change is expected to allow this. The regulator wants to make a class exemption under the Financial Advisers Act 2008 so that firms can get on with providing personalised computer or algorithm-generated advice on a limited range of financial products. “Some people have some concern about that. I think it’s exciting… I’m interested to see what the FMA come back to on that,” Dean says. Dean is also open-minded when it comes to how the FMA goes about implementing the exemption. Blockchain is the technology behind digital currencies like bitcoin, as well as other fintec products. Dean has been Commerce and Consumer Affairs Minister since December. A minister outside Cabinet, she has been the MP for Waitaki for four terms. Dean is also a former presenter of children's TV show Play School. “I get the sense talking to a number of industry players that we don’t really have a sense of where we’re going to end up in terms of things like robo-advice, the ability to use technology to transform businesses. We don’t know where it’s going to go, but we know it is going to go, and we know it’s incredibility exciting,” she says. A former FMA senior solicitor, who’s now the director of Cygnus Law, Simon Papa, maintains the FMA is moving in the right direction fast-tracking the legalisation of robo-advice. However he warns that under the current proposal: “There will be very little regulatory oversight of the new services, including no prior checks on the providers except in relation to “good character”. 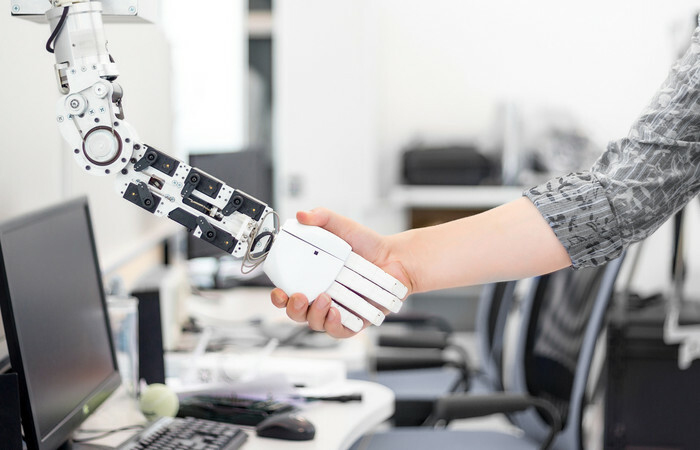 An industry body representing some of these product providers - the New Zealand Bankers’ Association - is so in favour of robo-advice being enabled sooner rather than later, it wants some of the FMA’s proposed limitations to be removed. The FMA has proposed only allowing firms to provide robo-advice on products that are easy to exit - for example products that are highly liquid or readily transferable. These include KiwiSaver and managed funds, listed equity securities, government bonds, listed debt, general insurance products (home, contents, vehicle), savings products and credit contracts (excluding mortgages). However the NZBA wants the exemption to be extended to enable firms to provide robo-advice on mortgages and personal insurance as well. The FMA is also considering limiting the exemption so that robo-advice can only be provided for smaller investments. Yet the NZBA is opposed to these caps, saying they restrict firms’ abilities to use robo-advice to plug the “advice gap”. Coming back to Papa, he notes the FMA’s proposal to fast-track the legalisation of robo-advice has some attributes of a “regulatory sandbox”. A regulatory sandbox supports innovative businesses by allowing them to provide financial products and services without having to meet all usual regulatory requirements, with allied restrictions to protect their customers. Regulatory sandboxes have been implemented in Australia, Singapore and the UK. While Papa supports well designed regulatory sandboxes for start-ups, he doesn’t believe they’re the best way to facilitate robo-advice. What’s more, he notes the “sandbox approach” taken by the FMA “lacks key controls and support mechanisms that mitigate the risks arising when a regulatory sandbox is implemented”. He says this is “consistent with the existing financial markets regulatory framework, which requires businesses to obtain a licence before providing most types of financial services to consumers”. It is also “consistent with the requirement in the draft legislation that all robo-advice service providers obtain a financial advice firm licence”, which means it will make it easy for providers to transition to the new regime once it is in place. Furthermore Papa says “it will give FMA and consumers greater confidence in the quality of robo-advice services”. Also speaking at the Trans-Tasman Business Circle event, the chairman of the New Zealand Financial Innovation and Technology Association, Mitchell Pham, notes kiwis living abroad often tell him New Zealand is like a sandbox compared to the regulatory hurdles they have to jump over in the likes of the American and European markets. He says the FMA is “more engaged and accessible” than overseas authorities. For this reason, Dean says an official regulatory sandbox probably isn’t necessary.